Robotic arm has been covered a variety of fields, including manufacturing industry, medical treatment, security control and other application. It plays as an assistant, an operator or even a work partner, like “Jarvis”! 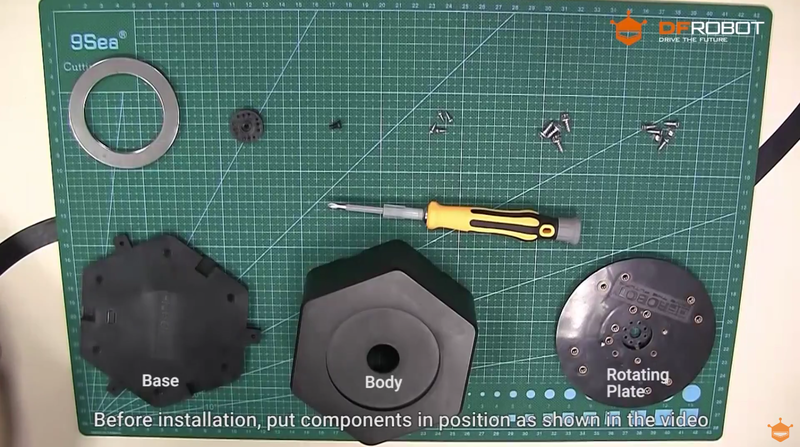 DFLG6DOF is a bionic robotic arm, it consists of six servo motors, corresponding to the arm, elbow, wrist (2 degrees of freedom), five joints and one rotating base in all. Each joint can move in a certain range, and the base can be rotated about 180 degrees. With 24 channel veyron servo controller, all action can be controlled via PC software, supporting online debug and wireless control. In a word, this is a high cost performance, easy to use robot arm. It is real a good robot demonstration teaching platform and DIY robotic arm. The servo can be connected directly to the arduino IO expansion shield or the Romeo robot microcontroller, and arduino servo library makes it easier to use. Arduino IDE (Version requirements: V1.6.? ), Arduino IDE. Click to Download Arduino IDE from Arduino®. Every servo should be calibrated before assemble, otherwise you will regret it. You can watch the video for the detail. 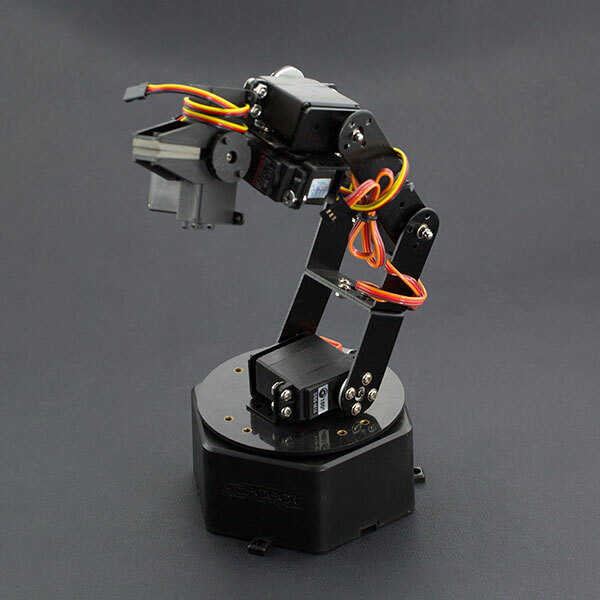 Get 6 DOF Robotic Arm from DFRobot Store or DFRobot Distributor.